OpenCart is a free eCommerce platform that enables users to manage their online stores. Its features include order processing, inventory management, sales performance analytics, payment collection, and more. In this article, we cover user reviews and pricing. Ready to get started with OpenCart? Request a demo. 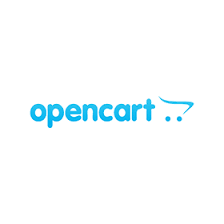 Users who gave OpenCart a positive review like that the software is free to download, very customizable, and flexible and is easy to use, set up, and administer. Others commended its wide array of essential add-ons, features, and integrations. As of the date this article was written (11/08/18), there are no up-to-date negative OpenCart reviews online. If you are a past or current OpenCart user, leave a review to help other business owners who are deciding whether or not to use the software. OpenCart is a free and open source eCommerce solution. Interested users can visit their website to download and install the software. While you can run a functional site for free, if you want to purchase add-ons, costs range from $0 to $99,999.90 each. Modules include Complete SEO Package, Quick Checkout, Instant Product Editor, and more. Ready to get started with OpenCart? Request a demo. Can users migrate their existing eCommerce stores from other providers to OpenCart? Yes. OpenCart offers two migration packages: Self-Setup Migration (starting at $69), where users perform the manual automated migration on their own; and Data Migration (quotation available upon request), where OpenCart’s Cart2Cart team takes over and completes the migration process. Their Self-Setup Migration Package has a free demo. Will the users’ online stores remain live and active during the migration process using the Cart2Cart service? Yes. Cart2Cart services and packages guarantee that the users’ online stores will remain live and active during the migration process. Not sure if OpenCart is the right fit for you? Read our reviews of all top eCommerce software providers or check out one of these three OpenCart competitors. It is a framework for building an Ecommerce website. The pages look good, and I’m sure they would convert well. The issue is that maintaining such a site would be quite difficult, since it seems like the software is updated in a completely undisciplined way. There is no attempt at continuity, even in dot releases. The most recent example of this would be the completely arbitrary decision to migrate to the Twig template engine. When I complained that this broke *all* of my work, I was told, “Just re-do it in Twig.” Storefront side looks nice. No commitment to customization. Things that work are broken in the next point release (not even a major number release). Architecture is carved in jello. Things that have no business value are changed all the time, causing tremendous upgrade issues. It does well in providing you standard e-commerce features you would expect tailored for small to medium online businesses. Good UI and UX, but themes and layouts can be improved. They can improve on support and update their module layouts. Support is minimum because it’s open-source. Should implement more drag and drop features so non-coders/designers can use it with ease. I wished I had known what level of skills that it requires to run it, I’ve developed some sites with Opencart for clients, but some of them say it’s too complicated to use, because parts of it require coding knowledge to change things around. You can’t beat free. This is definitely the biggest selling point. Opencart is a VERY customizable shopping cart software. 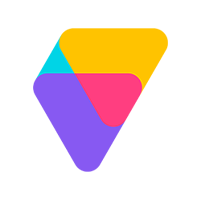 There are lots of modules available to buy to configure Opencart exactly how you want it. It’s also relatively easy to modify on your own if you know a little PHP and CSS. The big difference with using Opencart vs. other software is that you have more control over all of the inner workings of your site and are able to design a site that fits your brand without being hindered. The biggest issue with Opencart is the updating process. Updating to a new version can be a huge pain as it is unreliable and can cause your whole site to go down. This means spending hours looking up how to fix it on their forums. Some users on the forums have created pretty decent instructions/modules for updating which can help with the updating headaches. However, making it a pain to update means that users won’t update as often and end up leaving their site open to security risks. The other issue is that when you update, you may also have to wait for updated versions of the modules you purchased to be released. Most developers are pretty consistent but sometimes you end up with a broken module. The updating process as mentioned above. The benefits of customizability outweigh this problem though. Opencart is more suited to users with some knowledge of PHP, HTML, CSS, and SQL. You may be required to use this knowledge to create exactly the site you want. Otherwise you might be better off with something like Shopify or Magento. I would say the only downside of this platform is the lack of ability to update. Opencart launches new versions from time to time. But once you install a version to your system, editing it, and start running, it is very difficult to update your web to the new release without a consequence to your web.